1957 This rather buttoned-down group of fans hardly seems reflective of the typical screaming, hyperventilating Elvis Presley teen female follower in the 1950s, but Presley, that charming former truck driver from Tupelo, Miss., drove headlong into the hearts of all stripes of fans. 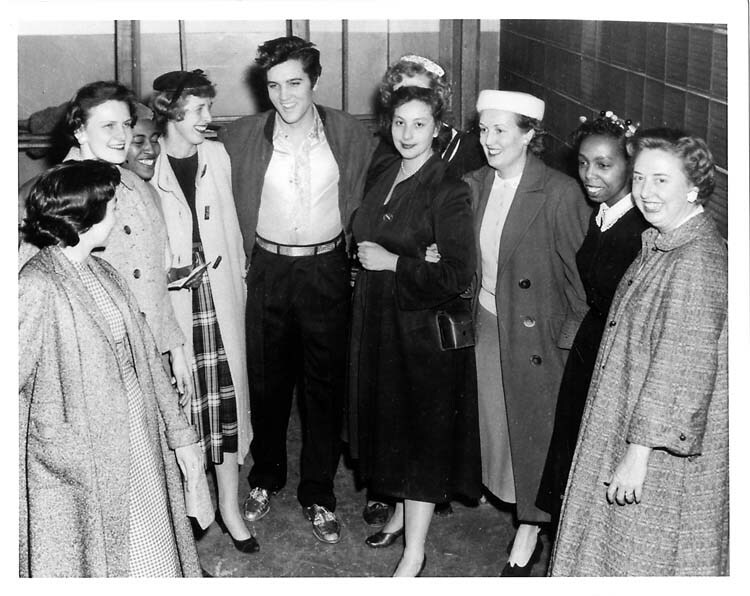 In fact, this photo brings to mind a Presley song from the time: “(You’re So Square) Baby I Don’t Care.” These women, who seem pleased, but not exactly all shook up, are from the Detroit Police Department and posed with the singer, then 22, backstage at Detroit’s Olympia Stadium after one of his two shows on March 31, 1957. It was Presley’s second appearance in Detroit (he gave three shows at the Fox Theatre in 1956), and was at the crest of his popularity. 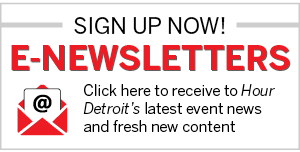 He stayed at downtown Detroit’s Sheraton-Cadillac Hotel, but begged reporters at a press conference not to divulge where he was holed up, likely fearing an onslaught of feverish fans at his door. Presley would be sworn into the Army in 1958, but when his tour of duty was over he focused on his film career. After a 13-year touring hiatus, the singer hit the road again in 1970, and once more appeared at Olympia — clad in a white jumpsuit. He must have liked the venue because he returned in 1972, twice in ’74, and again in ’77, four months before his death. He also performed at the Pontiac Silverdome in a 1975 New Year’s Eve show. After Memphis and Las Vegas, Presley appeared in Detroit more than any other city, according to elvis-history-blog.com.